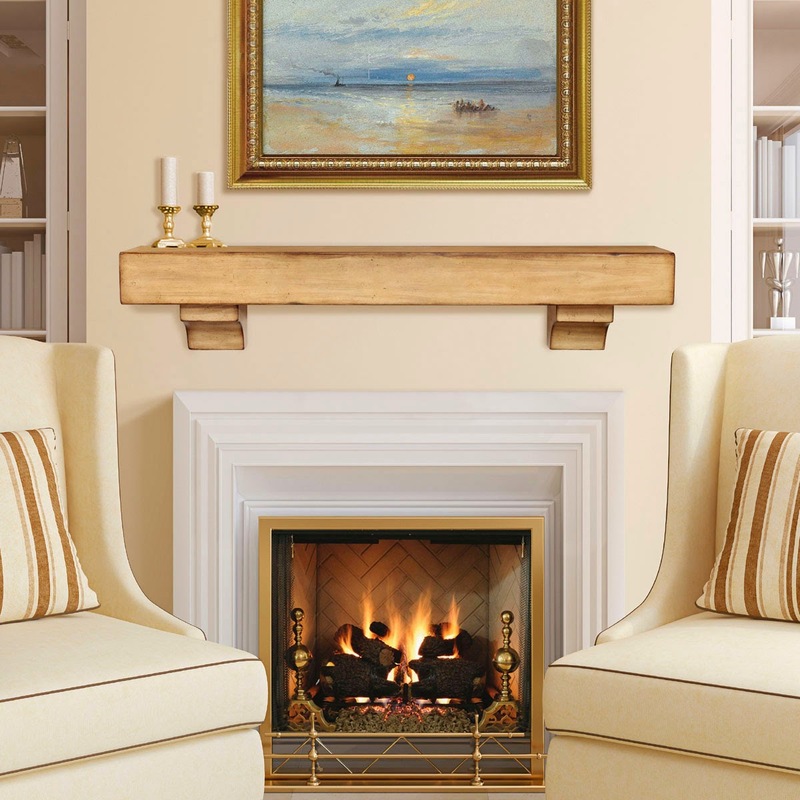 Rustic Mantels have been gaining more and more popularity lately. There's even a style I've come across recently called "farmhouse modern" where it's chic to mix elements of modern and rustic decor. If you're thinking of adding a little rustic to your home, consider a new mantel. Rustic generally means something that looks old, organic, or unfinished. Basically it's the opposite of new and sleek. Sometimes rustic items really are old such as mantels made from reclaimed barn wood. But mantels can be new and made to look distressed and worn. Pine and other types of solid wood make good rustic mantels. Some companies offer a choice of stains and finishes so you can match the mantel to your home. Be sure to measure your existing mantel, if you have one, so you can determine what size rustic mantel to purchase. Use painter's tape to mark the space your new mantel will cover. Plan to leave about a foot between the top of the firebox where you build the fire, and the bottom of the mantel. A good rule of thumb for figuring out what length the mantel should be, double the firebox width. Your city might have building codes so it would probably a good idea to check on those before installing your new mantel. Pictured here is the Ridgewood Rustic Mantel available at www.brick-anew.com. Check it out and let me know what you think!